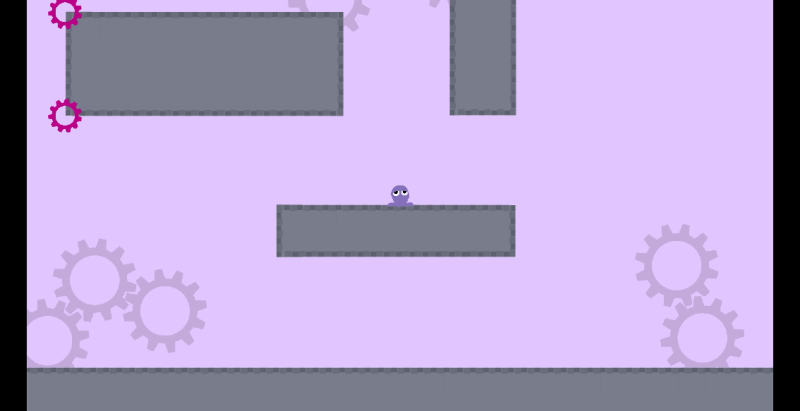 Going Up is a puzzle platformer for the PC where gravity is all out of sorts, so whenever you let go of a surface, you fall to what you concieve is "up". However, there is no true up. Will you be able to escape the factory or will you get disoriented and never find your way out? 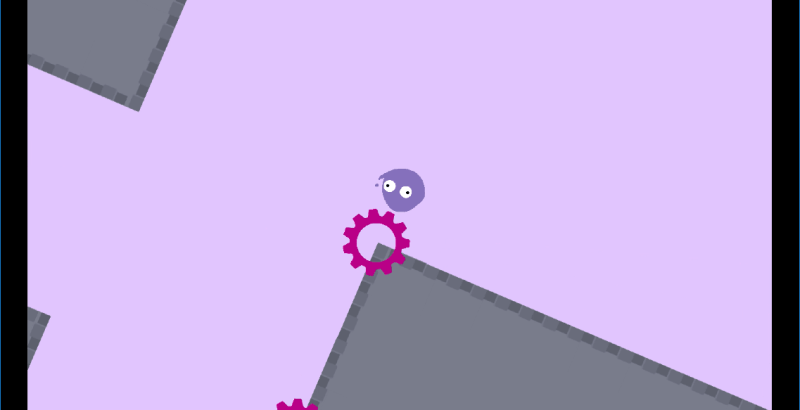 Going Up is a single player game for the PC where you are a slime trying to escape a steampunk factory! Gravity is all out of sorts in this factory though, so whenever you let go of a surface, you fall to what you concieve is "up". However, there is no true up. Will you be able to escape the factory or will you get disoriented and never find your way out? 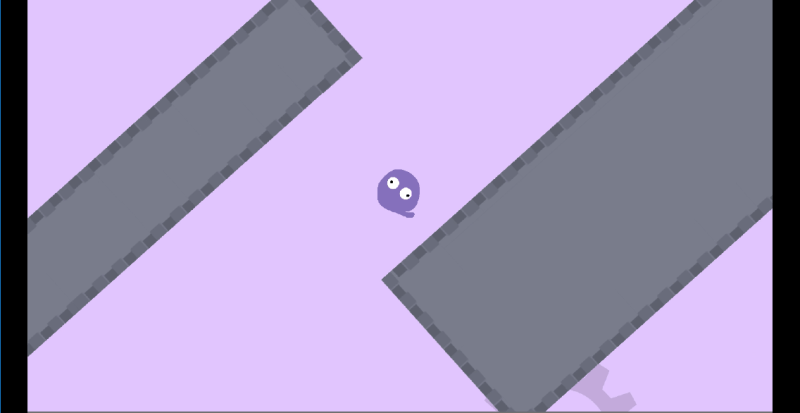 As the core mechanic of the game, the player is allways being pulled upwards. Gives allows for the creation of an interesting set of puzzles that force the player to look at situations from a new perspective. With just the one core mechanic of falling upwards, there is an astounding set of puzzles to be created, to varying levels of complexity. This means there is a diverse swatch of puzzles for the player to solve that all play off the same mechanic. The first five levels are dedicated to making sure that the player understands how the mechanics work and then are given the chance to use all of their skills that they've learned to the test to solve the most difficult puzzle. Click Here to dowload all of our media files in a .zip! Click Here to download our logo in a zip! Going Up started as a school project in April of 2018, and the idea came from Michael. He and Kai had not worked on a project together to that point but had wanted to for a while, so they joined together as partners for this assignment. Going Up takes inspiration from Ender's Game by Orson Scott Card, with the questioning of gravity in a space where gravity is completely arbitrary. Michael was enthralled with this concept and tends to imagine his everyday life as if gravity was from a different direction. This is what spawned the idea for Going Up, a question of what if all humans were clinging to the earth's surface trying to not fall into the dark uncaring void of space. Michael is the Lead Level Designer and Lead Programmer for Going Up and Lead Designer for a board game called Tiny Trees that will be launching on Kickstarter on July 10, 2018. He is an eighteen year-old freshman at the USC School for Interactive Media and Game Design. He loves to both play and design games and have been doing both for the vast majority of his life. He's heavily inspired by the steampunk genre, but is primarily inspired by nature. Kai is the Lead Artist and Assistant Programmer for Going Up and the Lead Designer for a large field game called Ideal Meal as well as the Lead Artist and Social Media Lead for a board game called Boast that will be launching on Kickstarter on June 19th, 2018. She is also an avid cosplayer and likes cat. She is a first year at the University of Southern California and is studying Interactive Media and Game Design. Click Here To Download the Media Files as a Zip!